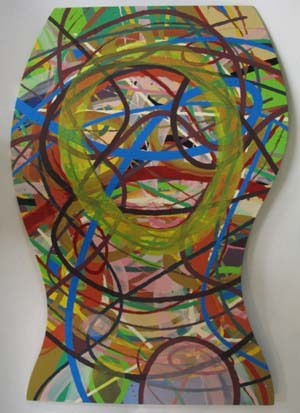 Lyrical Expressionist Enamel Paintings - By Bernard Re, Jr. - Souls aren't born. Souls don't die. Souls aren't born. Souls don't die. Painted and donated for a Storefront Artists Project fund raiser to bring artists in residence to Pittsfield, MA from New Orleans. Please e-mail me at bre@globalhome.com if you would like more information about this work.